Although frequently congenitally missing, the presence of those teeth, erupted or unerupted, may influence the doctor’s treatment planning. For example, if the second molar needs to be distalized or uprighted, the doctor should be aware of the third molar. If it is present, it will likely interfere with the movement of the second molar. Also, if the doctor is considering the removal of the second molar (due to its condition or position), he or she may want to consider allowing the unerupted third molar to serve as the second molar in lieu of being extracted. One must consider whether removing the retained molars is preventive (to reduce future negative circumstances) or therapeutic (correcting an existing problem). its impacted position is threatening the health of the second molar. Some dentists believe third molars should be extracted proactively during early adolescence if it is determined that there will be a very low probability there will be enough room for the third to erupt. The most commonly seen scenario for third molar extraction is when the mesially-inclined wisdom tooth is impacted (unable to erupt normally) and placing pressure against the distal surface of the second molar. This condition may cause damage to the second molar and/or a dentigerous cyst may develop around the impacted tooth causing extensive damage to the surrounding bone. Even though impacted, if that tooth is not threatening the health of the adjacent teeth or surrounding bone, there is no requirement for extraction. Using accepted techniques or experience-based judgement to evaluate the potential for the developing wisdom tooth to not erupt, may lead to a reasoned decision to remove a third molar preventively. If this decision is made, surgically extracting the tooth or teeth before extensive root growth usually results in a less negative abnormality than performing the procedure after full root development occurs. 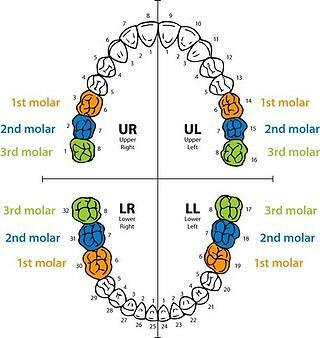 Treatment plans that include distalizing the second molars should consider the presence and position of the third molar to evaluate if that tooth will limit the distalization. Certain treatment plans may want to replace a missing or defective second molar with the eruption and advancement of the third molar. Special attention must be given to third molars when clear aligners are used. Even when they have erupted, they rarely display enough of the supra-gingival crown for an aligner to sufficiently cover the crown for optimal adaptation and retention, often causing a poor fit. If the wisdom tooth is erupting during aligner wear, it may interfere with the distogingival margin of the aligner, preventing it from fitting properly. Many still believe the old adage that eruption of the wisdom teeth causes the lower anterior teeth to crowd. Contemporary research in the literature has convinced many of us that adage should no longer be supported. Late adolescent growth of the mandible forcing the lower anteriors against the lingual of the upper anteriors, causing the lowers to crowd, is a more evidence-based explanation for the observed shifting of the lower incisors. We hope you find this information useful! 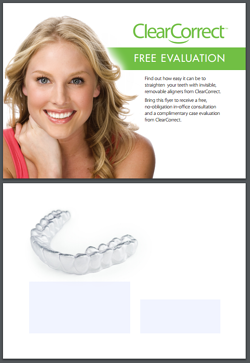 Check out our Help Center for more articles like this on the topic of clear aligner treatment. ClearComm is ClearCorrect's online case management tool located at dr.clearcorrect.com. It's also sometimes referred to as the doctor's portal. In this article, we'll introduce you to the main areas of ClearComm so you can find important information for managing your cases. When you log in, ClearComm starts by showing the action needed tab on the Manage cases page, which lists any cases that require your immediate attention. Items under the action needed tab might include incomplete submissions, records that haven't been received yet, or treatment setups that are waiting to be evaluated. 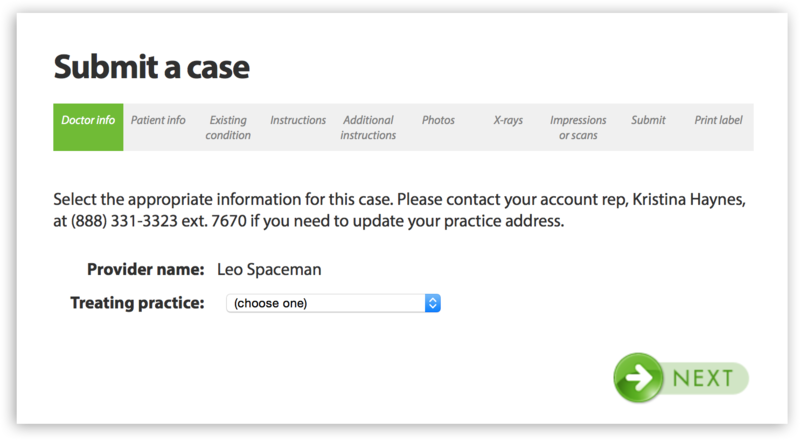 You can also choose to view cases in progress and cases that have been closed. Clicking on any case will take you to its case page, where you can review the history of the case and any actions available to you regarding that case. 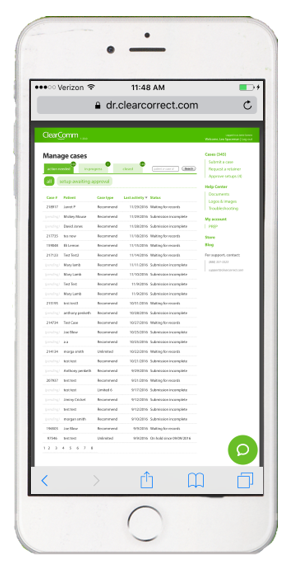 The case page displays everything you need to to manage a case and keep it running smoothly. Submission incomplete You've started an online submission for this case, but haven't finished submitting it yet. Waiting for intraoral scans or impressions (or other records) We're waiting to receive records from you to continue with the case. 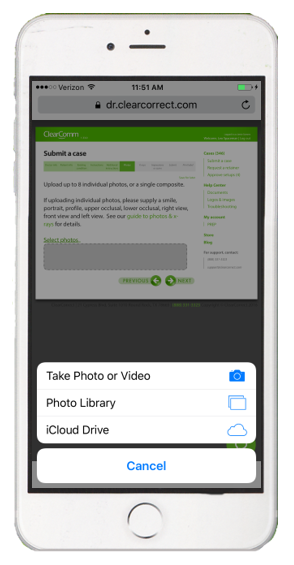 Digital files can be uploaded by clicking Upload, and physical records can be sent by clicking Ship to generate a shipping label. Treatment setup in production We've received all required records, and we're staging your case. 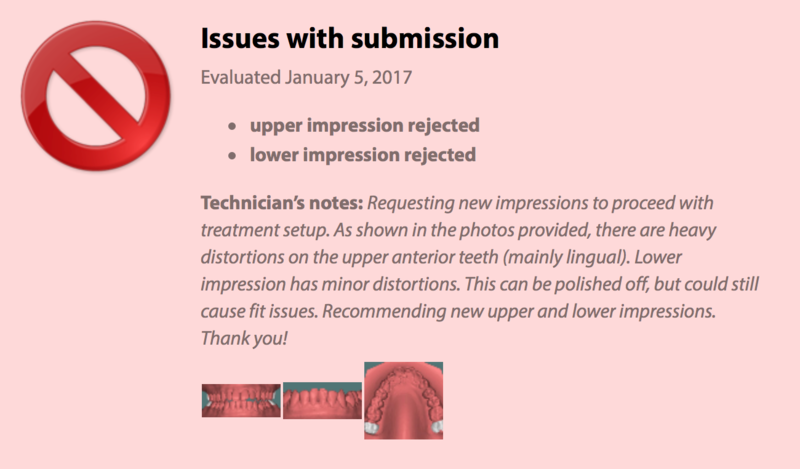 Issues with submission This often reflects distorted or incomplete impressions or scans. The case page also includes the history for the case. 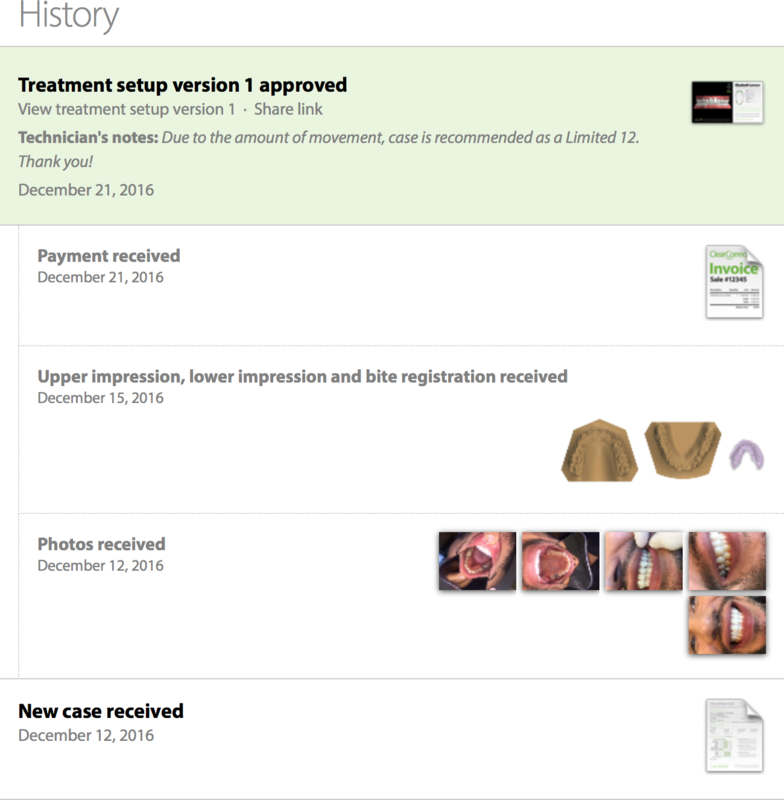 This includes icons you can click to view many of the records for the case including treatment setups, images of the impressions or scans submitted, photos, x-rays, forms, and invoices. Here's where you can submit your cases. (See full details in our article on submitting a case.) Payment is not required until you approve the treatment setup. If you don't upload records when you submit your prescription, you'll see a notification indicating that we are waiting for your records. 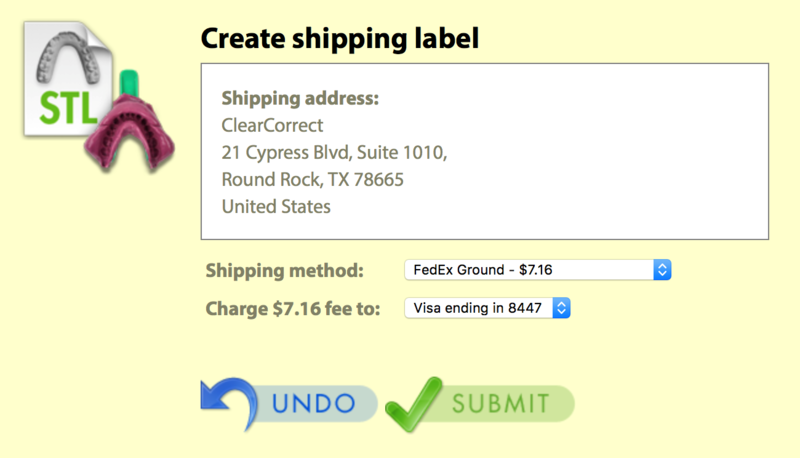 Click upload to upload files or ship to create a shipping label. You can edit your name, password, credit card information, email notifications and email addresses in the My Account section. To update other practice information, please contact support. 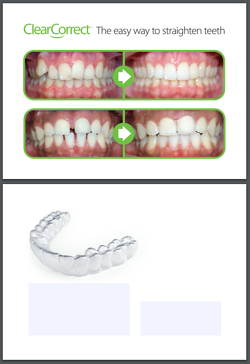 In the sidebar, which is available on any page, you have easy access to your cases, the link for submitting a case, a link for treatment setups that need approval and ClearCorrect's online Help Center which is filled with useful articles on the topic of clear aligner treatment. 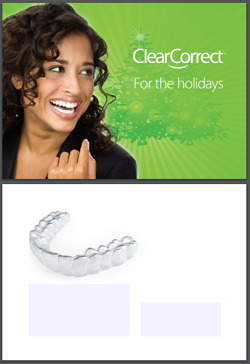 You can also access ClearCorrect's online store where you can purchase useful tools for treating clear aligner patients. It’s important to anticipate potential problems before you submit your case and decide what approach you want to take to address them. You can let us know how you want to address any of these issues in the Additional Instructions section when submitting a case. 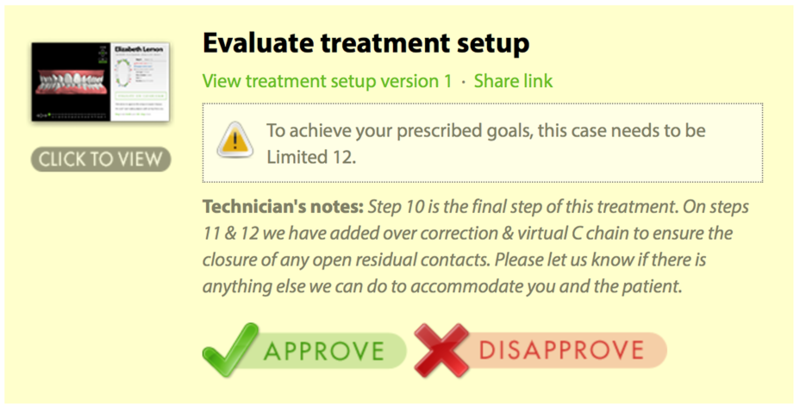 Think about your treatment goals before you submit your case. Keeping the end in mind is the best way to get the outcome you want for your patient. Providing more information will lead to better treatment setups. 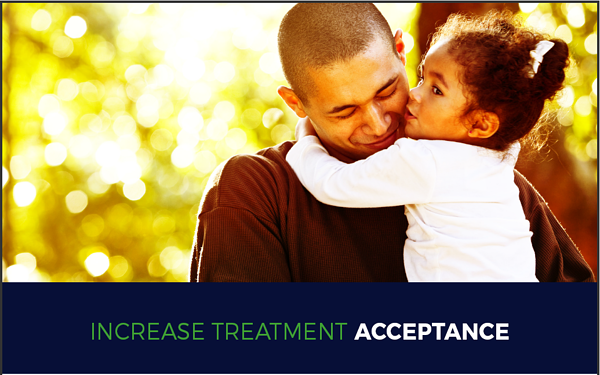 We're happy to work with you to get the treatment plan you desire. You can find more articles on this topic in our Help Center in the Prescribing a Case section. We hope this information helps you submit & evaluate your future cases. 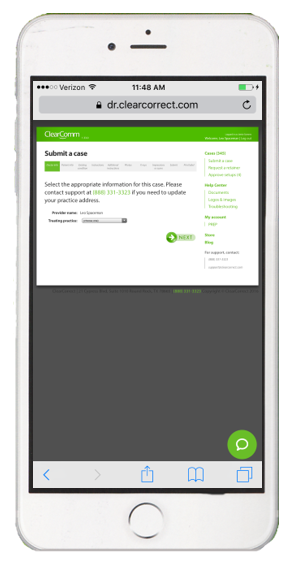 Did you know that you can submit a case with your smartphone? Some doctors prefer this option if they're taking the required photos using a phone. 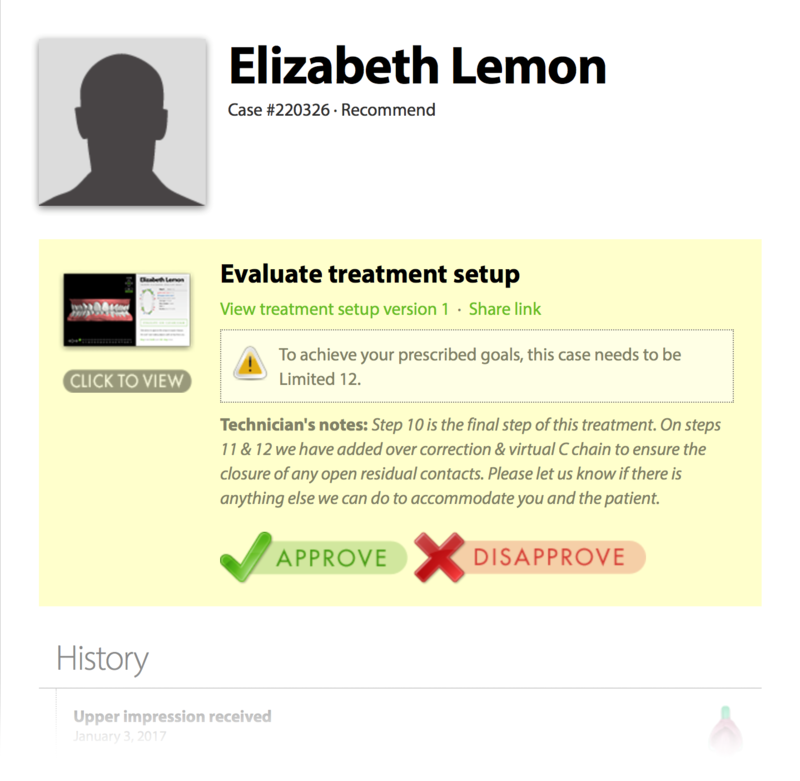 The treatment setup for the case should arrive within a few days of submitting your case. 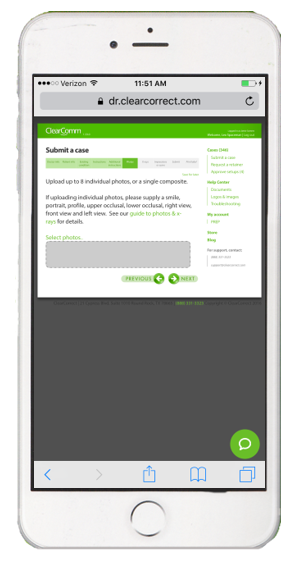 The setup for the case can also be viewed and shared on your smartphone. 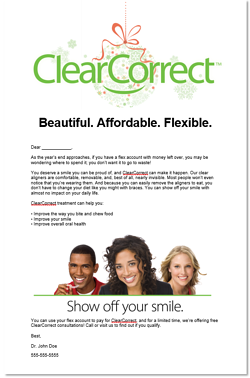 We're very excited to announce that patient financing is now available for ClearCorrect through beWell by FTL Finance! 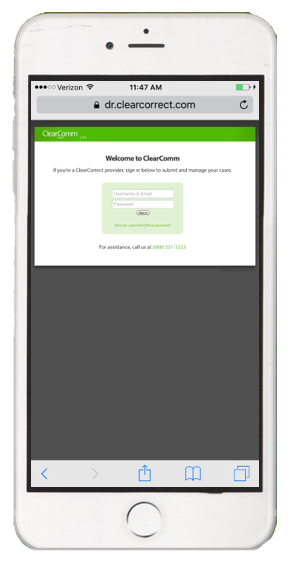 We hope you're as excited as we are about this incredible new option available for ClearCorrect providers! 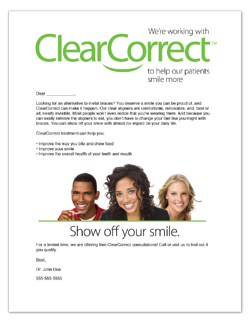 Did you know that ClearCorrect offers free templates for marketing to your patients? Download these free email or mailer templates that you can send to your customer data base. These are designed so that you can personalize and edit them to your satisfaction. The less costly option would be sending the template via email with the added perk of watching your inbox fill up with appointment requests. We have designed a couple options for you, download just one or all of them if you like! Edit the template to your satisfaction; name, practice information, special offers, etc. Download these free postcard templates to send to your customer data base. Choose any of the options below and personalize it to your satisfaction. Click on any of the images below to download a copy of the postcard template. You can access these free downloads anytime in our Help Center. Happy patient hunting! We recently asked our providers for some of their marketing tips and we included some gems that we thought we'd share as well. We hope you find these tips helpful, coming into the holiday season! "Once I get a referral, I have found it easy to convert them to paying patients. First, all of the patients love that I refer them for digital scans. Second, the patients are very impressed by the animation (Treatment setup). 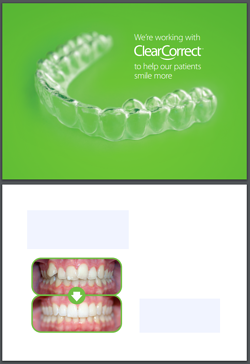 Third, I keep a fishbowl full of unused aligners so patients can see and feel them." 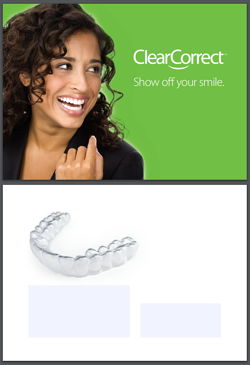 "Asking all patients if they are satisfied with their smile, especially with tooth alignment. Taking photos of all patients." Check out our Help Center for more information on the topic of marketing and practice building. 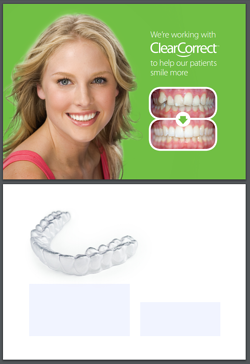 Our online store also has great promotional items for your practice. 3D Printing is incredible. It’s like magic—dream up a thing, digitize it, and it appears. But it’s not just great for making wrenches for Shaq. As 3D printers become more affordable and approachable, folks in the dental industry are exploring their potential to improve quality and efficiency in dental restorations and tools. Recently, Robert Elsenpeter at Digital Esthetics asked our Vice President of Products, Paul Dinh, for his thoughts on the future of 3D printing in dentistry. “Hopefully in fifteen years, we can expect printing plastics will last longer, be lighter and be more esthetic,” Dinh says. Check out the full Digital Esthetics article here. 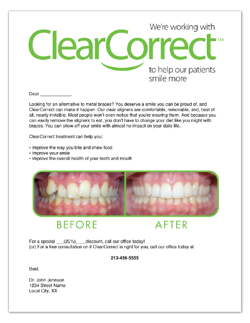 ClearCorrect began as a little family business in Dr. Pumphrey’s office to service his patients. Now, after 10 years, we have over 20,000 providers globally. We didn't do it alone—we want to thank all our doctors who have been with us through thick and thin. It’s through your support that we’ve come this far and we’re proud to be on your team. We made a little video to celebrate our journey and to take a look at what the next ten years may hold.